Si vede dalle foto che camminare sull'erba ti rende felice. Bellissimo questo kimono! No va beh... questo kimono è spettacolare!!! Yes indeed that is happiness! We must walk barefoot in the grass while we still can :) Happy weekend Lilli! I agree. The best things in life are free. Love paisley print. Your kimono is so pretty. first a compliment for yor beautyful pictures. I like your foto language. The Kimono is very beautyful and looks of couse great with a jeans for all days. 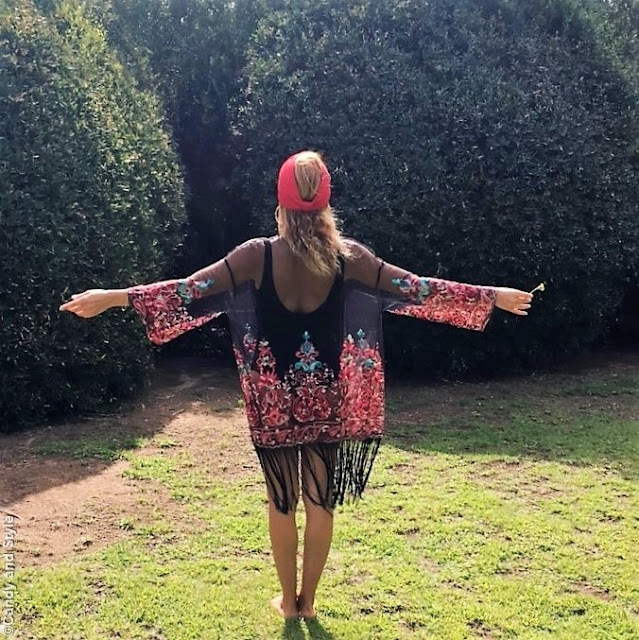 Una meraviglia questo kimono, bellissime foto!